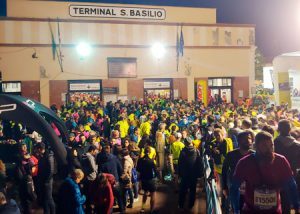 Here we are with another great edition of what is already a classic race: the Venice Night Trail 2019 has just finished and we are ready to give you our personal review of that beautiful night! The number of runners for the 2019 edition has been limited to 3500 participants to ensure the best running experience and grant an acceptable impact on the fragile context of the city of Venice. The bibs ran out since months, testifying the great appeal of running in Venice. The maritime station has been the hub for the race, with the running village open from 3pm to allow the runners to collect bibs and running packs with much comfort. Shuttle buses were at disposition for all the racers to reach the starting point from San Giuliano Park / Mestre in less than 15 minutes. Even if most of the runners decided to come pretty late for the registration activities, like just 1 hour in advance to the starting time, the organization did a great job and by 8:30pm the first grid started to be filled with runners. Top runners had, as it is common with high numbers of participants, a favour line in front of all; the following grid was reserved to the competitive racers and a second grid to non competitive runners plus, at their back, nordic walkers. Few recommendations to enjoy the run and respect Venice and it is time to switch the frontal light on, play the Italian national anthem, make the countdown and fire the starting gun! To provide the best and safest experience to all runners the same procedure has been replicated for the non competitive run and it doubled the emotion! The course developed easily with the head of the race keeping a fast pace in the first flat kilometres inside the maritime area. The head of the race made the pace for some – avg. 3’40/km, considering the challenge of crossing 51 bridges is pretty more than fast – and the course developed easily. In the back lines there were a couple of traffic jams in proximity of some bottlenecks that an urban course in Venice necessarily provides, but it was good time to take a breath from the unconventional bridge-climbing route and enjoy the beautiful view of Venice by night. 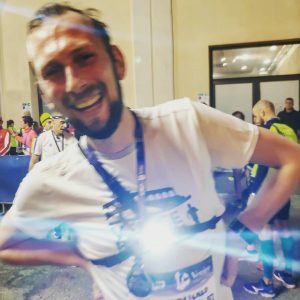 From that point on the race was fluid and regular even when passing through spots sprinkled with bacari – the local wine bars – and locals as the course was open to pedestrian city traffic. The last kilometres were all straight and flat up to the finish line, with ramps put in place to easily cross the bridges and speed up the pace. 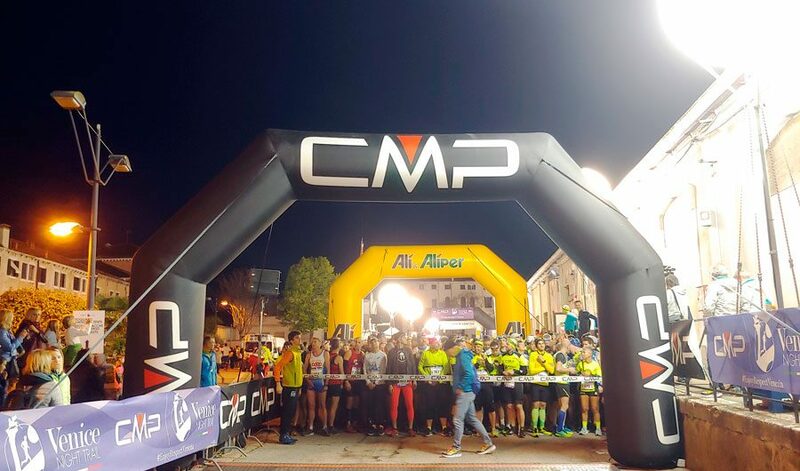 First finishers closed the race under 58′; a high number of racers arrived within 1h15′ denoting the good quality level attained by the Venice Night Trail 2019. The last arrivals of runners were around the end of the second hour with the nordic walkers closing the tail few minutes after. And after all, a nice drink to make a toast to Venice Night Trail 2019! If you would like to live the urban trail experience in any day of the year, book one of our Venice running tours.